About Us - Metaland Inverell - Top-quality steel products Inverell, Glen Innes, Warialda, Bingara, Moree, Tenterfield, Bundarra, Ashford and Northwest New South Wales. The team at Metaland Inverell has extensive experience with a wide range of steel products, and can advise you on which of our products will be the best fit for your specific needs. Whether you’re looking for steel, fencing or professional stock handling products, we are more than happy to help. We offer fast and efficient service from our knowledgeable, friendly staff. 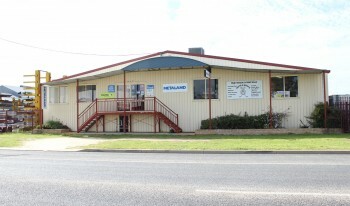 At Metaland Inverell, you can expect the best every time. We offer free quotes on all of our products and are committed to delivering what you need, when you need it.